Oh musicals, how much do I love thee?! Somewhat apparently. Popular stage and Broadway musicals can get the big screen treatment. They're outfitted with an amazing cast, perfectly designed costumes and buzzworthy performances for nomination consideration. Chicago, Mamma Mia!, Hairspray, Dreamgirls and Rock of Ages are a few musicals that have made the big screen. I haven't done a FULL movie review since mid-2012 so I wanted to give this one a shot, especially since it's been nominated for an Academy Award. 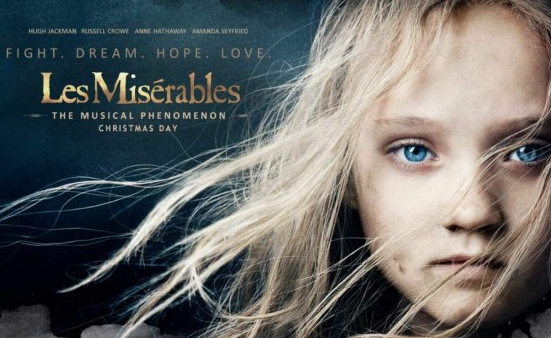 The second movie review of the day is the heartbreaking French music: Les Miserables. The Premise: Set in the downtrodden alleys of France's 1800s, former prisoner Jean Valjean (played by Hugh Jackman) breaks his parole and starts life anew as a factory owner and Mayor of Montreuil-sur-Mer. After an unexpected encounter with his former employee and now prostitute Fantine (Anne Hathaway), he promises on Fantine's deathbed to take care of her illegitimate daughter Cosette and save her from her unbearable guardians, the Thénardiers. 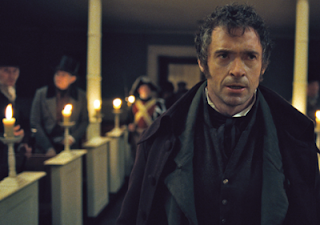 While Valjean was able to save Cosette, his presence came to the attention of Javert (Russell Crowe), a police inspector who has dedicated his life to placing Valjean behind bars. Several years later, tensions begin to rise between the aristocracy and the poor. With the looming death of a respected official, a revolution is certainly on the horizon. The story focuses on the return of Jean Valjean and Cosette (Amanda Seyfried), Marius, a young student and revolution organizer who falls for Cosette, Éponine, the Thénardiers' young daughter with an unrequited love for Marius, the evil Thénardiers and their quest for money, Javert and his continued mission to apprehend Valjean, and a revolution that aims to set France free. The Good: Les Misérables is a beautifully crafted film. While the tone of movie is destined to be dark, dreary and depressing, the way it was designed suited the intent and underlying theme. Upon first notice, a lot of effort was placed into bringing a French revolution to the big screen. Costumes, scenery and the small touches made the film more than just a musical adaptation. Though, I will say that the make-up and aesthetics might have been a little TOO heavy on some of the actors and performers. Now let's get to the real purpose for reading this review - the music! The musical numbers were done in the typical big screen fashion with exuberant background singers, beautiful scenery and rehearsed vocals. However, there were a few real standouts that made the film noteworthy. 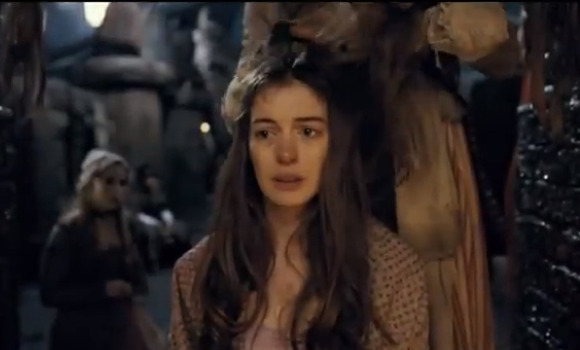 Fantine's performance of "I Dreamed A Dream" might be the most heartbreaking thing I've watched in a while. Yay, Anne Hathaway - that falling tear really got to me! 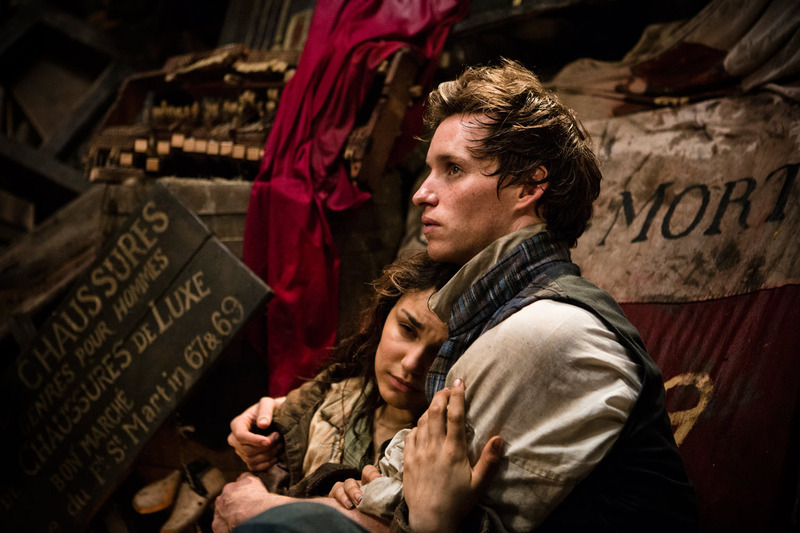 Plus, Éponine's performance of "On My Own" and just Samantha Barks in general made me love her character. The Bad: The downside might be the music as well. I read in a few previous articles that the musical numbers for Les Misérables were filmed live with no studio overlay. Problem was that the lack of fine-tuning definitely showed in the final product. Les Misérables might be the musical with the most singing and it hurt many of the performances that didn't have that extra bit of work to fix a song. Besides the two I already referenced and possibly a few others, the majority of the songs in the movie were alright but didn't stand out as amazing. Lastly, Sacha Baron Cohen should not have been cast as M. Thénardier. The role is a comical relief and the pairing of the scrupulous married couple is supposed to lighten the mood of the musical. He is a funny actor who has played many hilarious, and albeit, terrible roles. However, he was really over-the-top compared to his counterpart (Helena Bonham Carter). It took me out of the film whenever his character appeared on the screen. Commercials have touted that Les Misérables is "the favourite and best musical of all time" and while I completely disagree, the story is still touching and beautiful. Having never read the original book, I didn't understand the plot at first. Though, I've done some reading and finally understand the concept. The actors and overall production did a great job at adapting the musical, with a few stand-outs like Hugh Jackman, Anne Hathaway and Samantha Barks. I wish that all the musical numbers were amazing but a few fell short of becoming a masterpiece that I would have loved to rewatch at a later date. Though, the movie is Academy material and some in the production could walk away with an award. In terms of all film musicals, Les Misérables is a good choice to add to your viewing list for a touching story but it can be a bit depressing. Agree or Disagree with the review? Leave you comments below and let us know what you thought of the movie.